Each year, Skytrax (the world's largest airline review site) conducts its independent Passenger Choice Awards. Over 10 million questionnaires are completed by passengers to select the best airports and airlines in the world. To help you plan for a good travel experience in India, here are the award winners for 2018, for both airlines and airports. 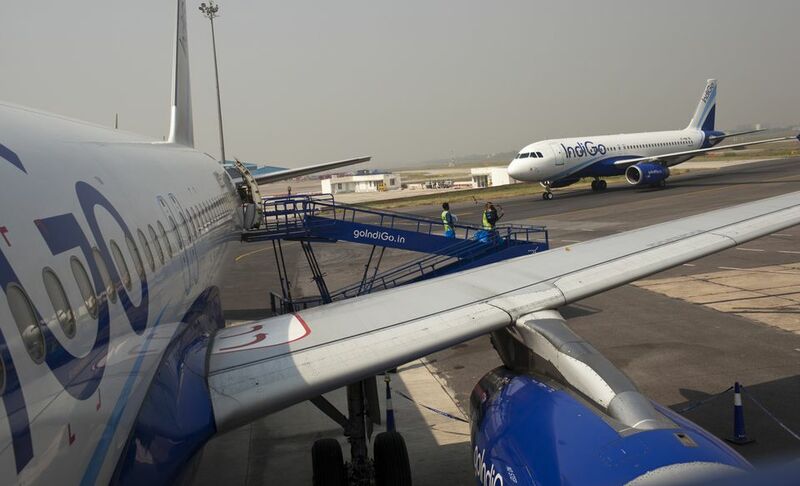 IndiGo Airlines ranks highly as the second best airline in Central Asia, and the best in India. Privately-owned, Delhi-based IndiGo commenced operations in 2006. Since then, it's grown to dominate the Indian market with a huge share of just over 42%. The airline has been consistently acknowledged as India's best low-cost carrier. Despite its cheap fares, it's remained punctual, and maintains a high level of customer service and baggage handling. It also offers excellent connectivity, with flights to 47 domestic destinations (up from 39 last year) and nine international destinations. With the demise of Kingfisher Airlines in 2012, Jet Airways has taken over the position of being the best full-service airline in India. It ranks as the fourth best airline in Central Asia, in the same place as last year. Vistara has, however, jumped up to fifth place (from seventh place in 2017) and is providing some serious competition. Air India remains eighth on the list. Jet Airways is a privately-owned airline that commenced operating in mid 1993 and has won many awards for quality service. It's the second largest domestic airline in India, with about 15% share of the market. Jet Airways flies to 45 destinations in India and 20 internationally. It has its primary base in Mumbai, with secondary bases in bases in Delhi, Chennai, Bangalore, and Kolkata. Although Vistara is yet to surpass Jet Airways as the best full-service airline in India, it's got the best airline staff in Central Asia according to Skytrax. This isn't surprising as Vistara was founded in 2015 as a joint venture between Singapore Airlines and Tata Sons to "make flying feel new again". It aims to provide the most luxurious flying experience in India. The award covers customer service both at the airport and onboard the aircraft. It includes staff service efficiency, friendliness and hospitality, staff language skills, and overall quality consistency. Competition for best airport ranking is fierce between Delhi and Mumbai. While the accolade went to Delhi last year, this year it's been returned to Mumbai (while Delhi has dropped to third place on the list below Bangalore airport). Similar to Delhi, Mumbai airport was privatized in 2006 and has gone through a major upgrade, winning many awards since. This includes being named third most improved airport by Skytrax in 2015, following the opening of its new integrated international Terminal 2 in 2014. Mumbai airport is the second busiest airport in the country, after Delhi, and handles more than 45 million passengers a year -- and, with only one runway! (Unfortunately, this does often cause delays). According to the company that operates the airport, it excels in areas such as parking facilities, flight information screens, availability of baggage trolleys, safety and security, shopping facilities, and speed of baggage delivery. What's also notable is the airport's Jaya He Museum, regarded as India's biggest arts project. Its colorful objects and installations, which showcase India's culture and heritage, are mounted all over Terminal 2. While Mumbai and Delhi compete for best airport in India, it's Bangalore and Hyderabad that are always neck and neck for best regional airport. This year it's Bangalore again. Bangalore is the third busiest airport in India, with over 22 million passengers a year. Apparently, it's the second fastest growing airport in the world! This brand new airport was constructed by a private company and started operating in May 2008. Since it opened, the airport has been expanded in two phases. The second phase commenced in 2015, and involves the construction of a second runway and second terminal. Both the domestic and international terminals are in the same building and share the same check-in hall. Although Delhi airport has dropped in place this year to third best airport in Central Asia, it has replaced Mumbai airport in having the best airport staff in Central Asia. The airport now handles about 65 million passengers a year and is undergoing further expansion to increase capacity. The award covers customer satisfaction across 39 key performance indicators for airport service and product. This includes check-in, arrivals, transfers, shopping, security and immigration, through to departure at the gate. Find Out: Will Your Indian Railways Waitlist Ticket be Confirmed?